Join us to learn how to make a concrete planter! In this hands-on workshop you'll learn the steps to mix, cast, and cure concrete in order to create a perfect home for a plant. Once dry, you'll jazz up your new planter with a pop of color for a perfectly modern industrial style. And finally, what would a planter be without a plant? 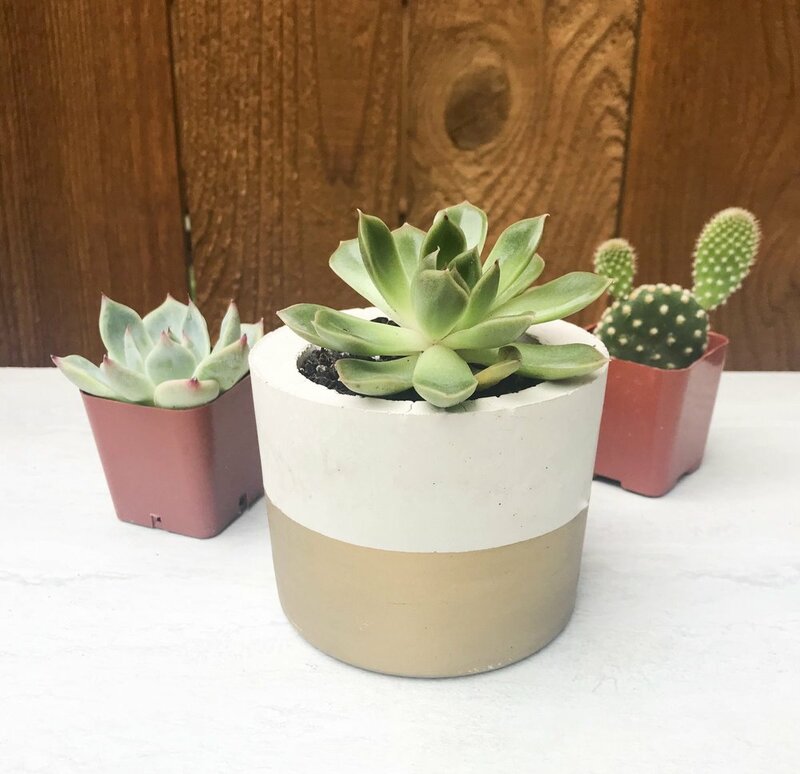 You'll choose from an assortment of adorable succulents and cacti to plant inside your new concrete creation. You'll leave the class with a fully finished concrete planter, care tips, and a deeper love for plants! Shaina Beeson is a concrete artist living in Portland, OR. In 2016, her passion for plants inspired her to start creating her own planters which has flourished into Pine District Botanicals. Taking the industrial side of concrete and pairing it with pops of color are what drives her creativity into creating her unique treasures. She believes plants promote healing properties and encourages everyone to bring nature inside, whether it’s with one houseplant or ten!